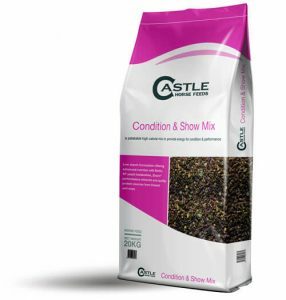 The right condition is fundamental to health and performance but sometimes horses and ponies can struggle with it and will need extra feeding. To successfully build condition, the focus should be on providing quality protein and the right type of calories, in a safe, controlled fashion. At Castle Horse Feeds, we understand the importance of building condition safely and effectively, so our conditioning feeds are formulated with low starch and sugar levels and based on higher oil and fibre to promote this. Our conditioning feeds offer targeted nutrition with elevated levels of vitamins and minerals, essential fatty acids for optimum skin and coat, quality protein for improved muscle tone and digestive enhancers, to provide premium condition without excitability which supports optimum performance. Performance horses who are in more intense levels of work will have specific nutritional requirements. Vitamin, mineral and protein requirements will be higher to support normal physiological function, replace what it is used during exercise and promote muscle integrity along with additional energy to support harder work. Performance horses benefit from a range of fast and slow release energy sources to support periods of both faster and slower work and to provide extra stamina when needed. It is important to provide the right balance and level of energy for performance horses, as this can have an impact on condition. 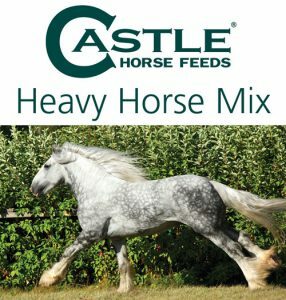 Castle Performance based feeds have an advanced formulation, with the correct blend of energy sources and high specification vitamins, minerals and protein to meet the needs of harder working horses without excessive cereals that could result in excitable behaviour or digestive upset, for optimum focus and performance.